Criminal Defense Family Immigration Municipal Attorney | Jersey City | Law Office of Adrienne D. Edward, P.C. The Law Office of Adrienne D. Edward P.C. 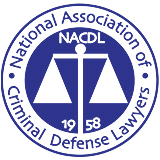 has been offering high-quality defense representation in the Central and Northern New Jersey area for nearly two decades. With a range of practice areas, one principal ideal unites our diverse knowledge and expertise; the aggressive protection of our clients rights. 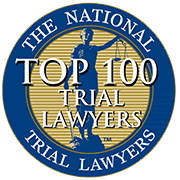 We have been recognized as one of the Top 100 Trial Lawyers by The National Trial Lawyers Association. Whether you are facing the loss of your freedom due to criminal charges, the complex and emotional battle of a divorce or custody proceeding, challenges with immigration law, or the fines and consequences of a municipal court hearing, Adrienne D. Edward has the wide array of expertise required to guide you through the process with strength and clarity. Knowing that you have a competent, skilled attorney to represent you in any of these matters not only ensures a higher chance of success in your particular case, it brings you peace of mind. In all cases, having clarity during each step of the process makes it possible to make choices that are best for you. Adrienne D. Edward is the perfect legal partner to provide an objective understanding while aggressively fighting for your interests. If you are facing legal issues, it is best to get experienced counsel as early as possible. Call (201) 420-8850 to speak with attorney Adrienne D. Edward regarding any criminal defense, immigration, municipal court, or family law needs.